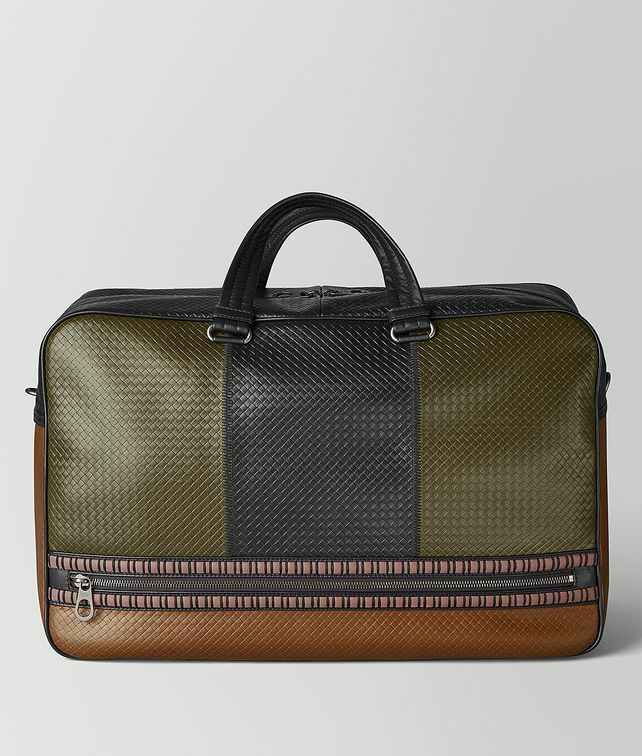 Introduced in our Cruise 2019 presentation, this duffle is crafted from leggero leather in the new Micro Intrecciato workmanship. The bag is made with panels of leggero leather, embossed with a woven texture and hand-stitched with black thread for a uniquely graphic, color-blocked look. Ideal for travel, the bag features a lower zipped compartment for high-tech devices, an interior zip pocket and two smartphone pockets. Finished with an adjustable nylon shoulder strap and metal feet at the bottom. Width: 48.5 cm | 19"
Depth: 24 cm | 9.4"